Dermal fillers were originally developed to simply fill in lines and wrinkles on the face. 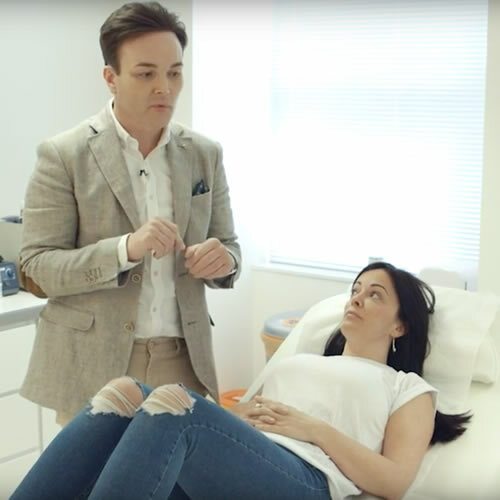 As our understanding of the ageing progress has advanced and become much more sophisticated the way in which we use fillers has changed to focus on more complex treatments of global volume restoration. As treatments have become more complex however it is sometimes easy to forget the basic uses of filler to simple reduce or remove wrinkles and lines. Done well, filler injection to lines and wrinkles can have a transformative effect on the facial appearance. One of the reasons that use of fillers to soften lines and wrinkles has fallen out of favour is that for quite some time there was a period in which excessive use of filler around the mouth became fashionable. The result was a smooth complexion, but one that appeared bulky and did not always look natural. In order to avoid creating the bulky and unnatural look judicious use of filler is required. This is where the experience and judgement of the practitioner is key. The key is using the smallest amount of product, at just the right level within the skin to optimally correct the wrinkles without weighing the tissue down creating the ‘bottom heavy – smooth, but odd’ look. This is something which takes years of experience to perfect, learning to respect the limits of the filler and knowing when to stop. The first step in the procedure is to ensure your maximal comfort through anaesthesia and there are two ways we can do this. The first option is to use a numbing cream which numbs the surface of the skin. With this approach there is still some discomfort associated with the treatment, although it is more comfortable due to the partial numbing effect of the cream and most people tolerate this well. The alternative option is to inject anaesthetic within the mouth – this makes the entire mouth area go numb, like when you have treatment at the dentist. This makes the treatment itself painless, although you will have to wait a couple of hours afterwards for the numbness to wear off. Which option you chose will depend on your own pain threshold and your own personal preferences. When the anaesthesia is achieved, the treatment begins. Rather than performing a few larger injections, my personal technique involves making a large number of very small injections. 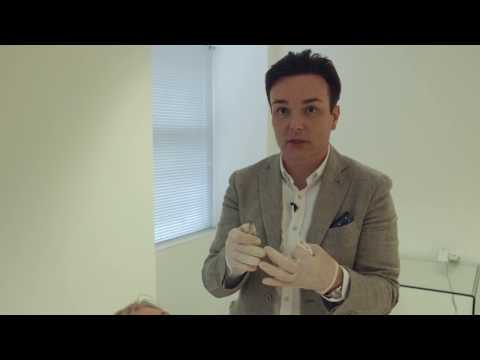 Whilst this takes more time to perform, it allows me to be much more precise in sculpting the final outcome, whilst also minimising the total volume of filler that is injected so that we can avoid the bulky, unnatural look. Immediately after the treatment the area will look red and inflamed due to the number of injections. The redness will normally calm down within a few days, although most people can conceal it with the use of make up within a few hours of treatment. With my injection technique I can usually treat this area without bruising for most people although if you do develop some bruising it can be covered up with make up until it disappears. The cost will depend on how much filler you need. Typical costs range from £300 – £900 to treat the area around the mouth. Results typically last a year or more and when it comes to re-filling this area in the future it is rare to have to use the same amount of filler for the second and subsequent treatments – usually only half of the original amount is required. What other non-surgical treatments help in this area? To help lift the corners of the mouth the addition of a small amount of filler can sometimes complement this treatment very nicely. Loose skin can be tightened with radio frequency treatment like Profound RF. The cost will depend on how much filler you need. Typical costs range from £300 – £900 to treat the area around the mouth. Results typically last a year or more and when it comes to re-filling this area in the future it is rare to have to use the same amount of filler for the second and subsequent treatments – usually only half of the original amount is required.